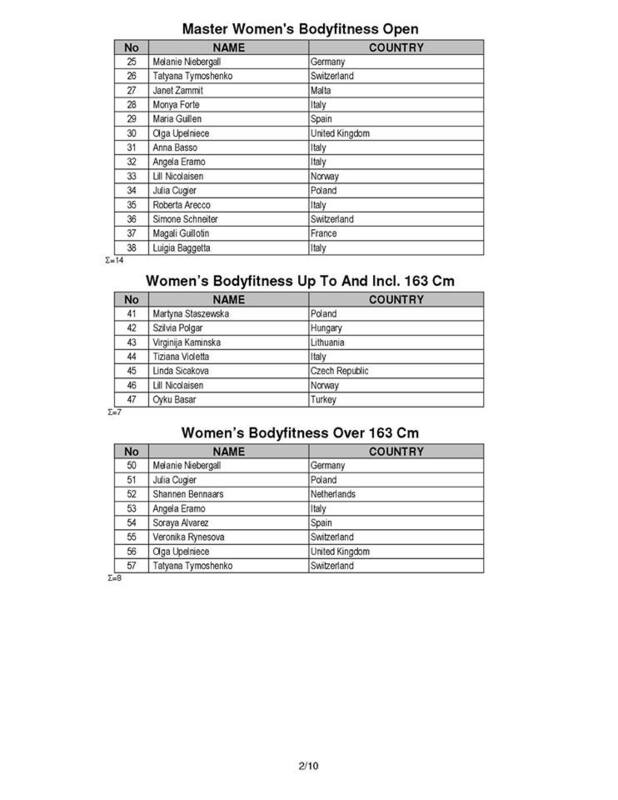 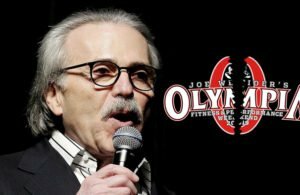 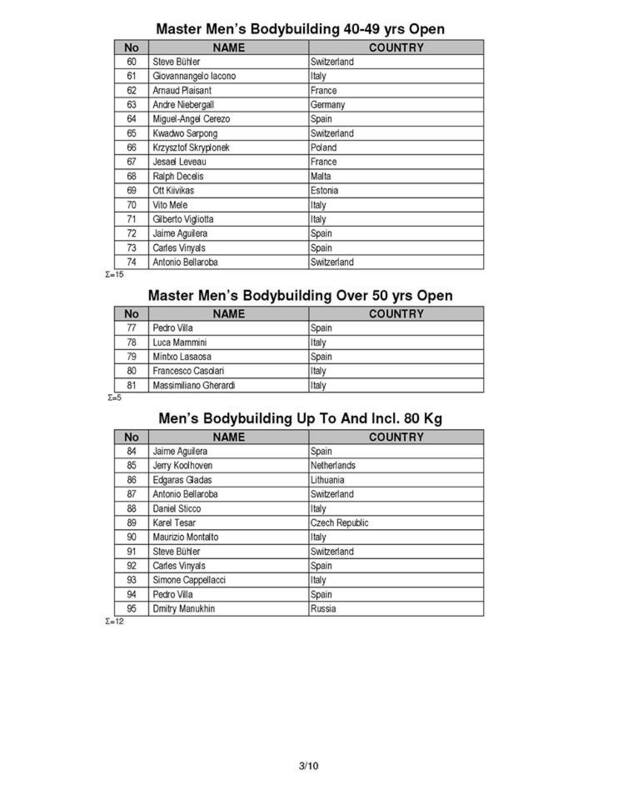 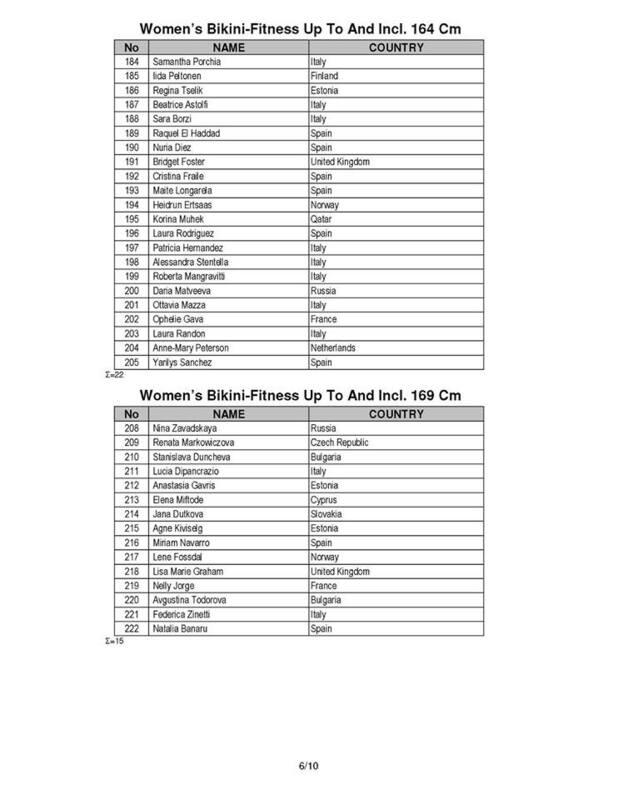 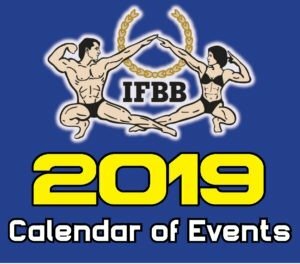 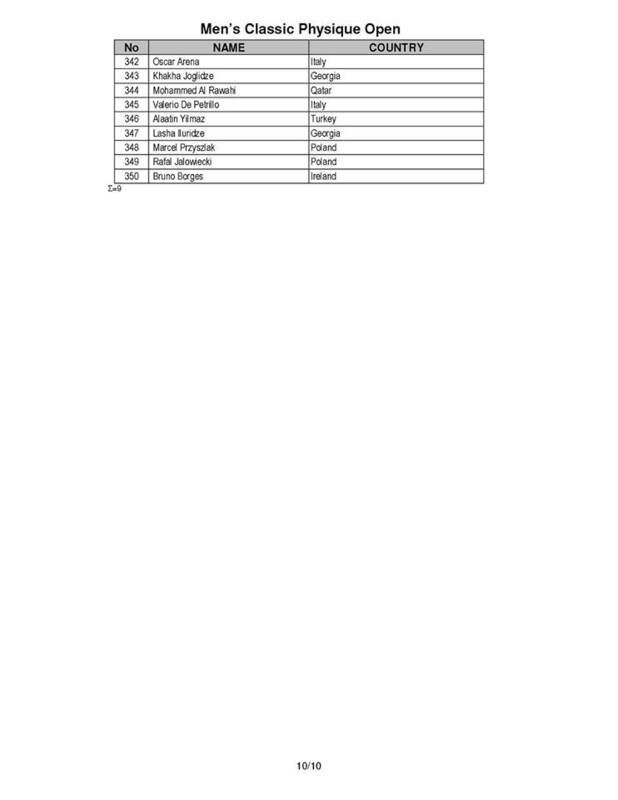 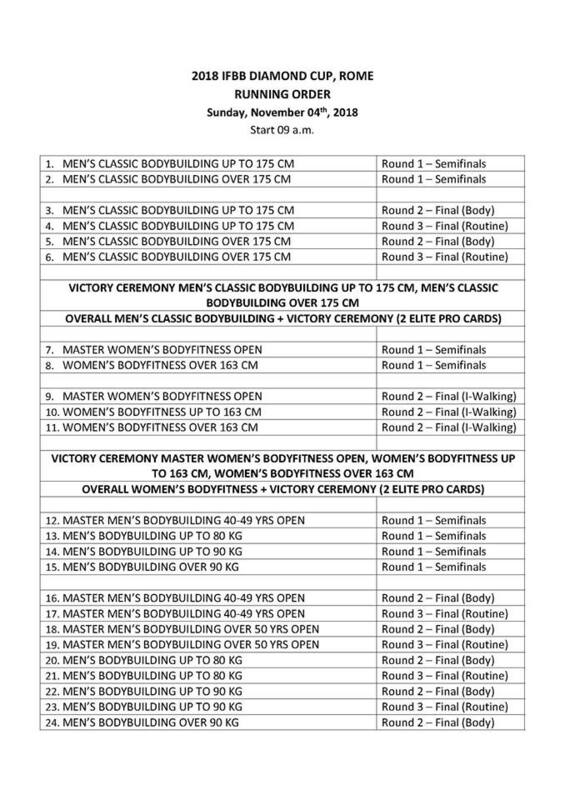 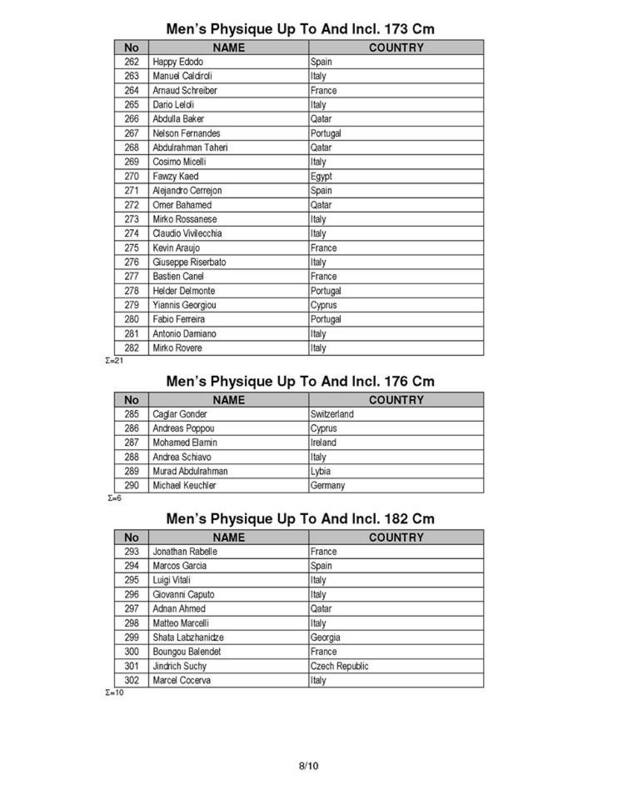 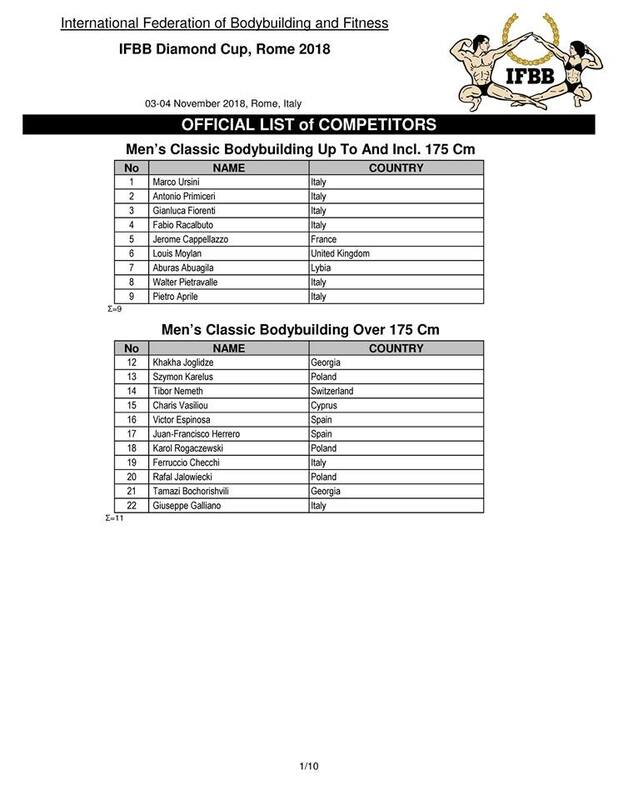 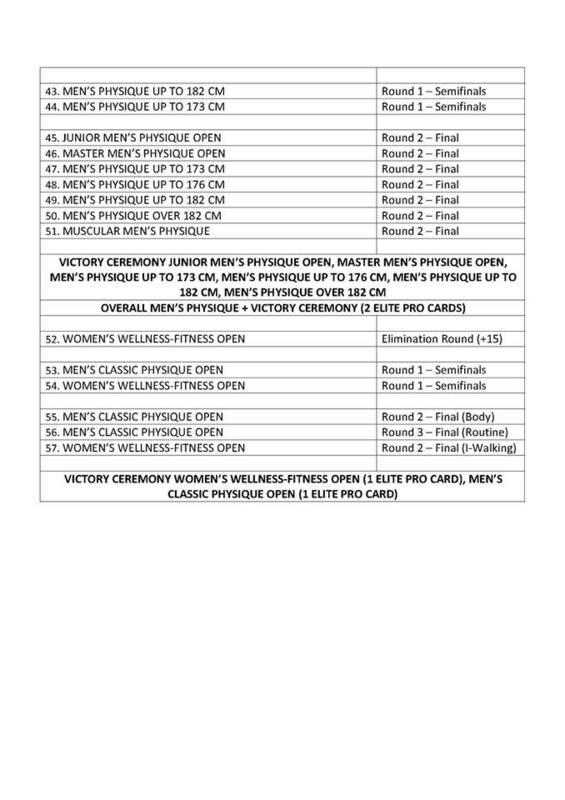 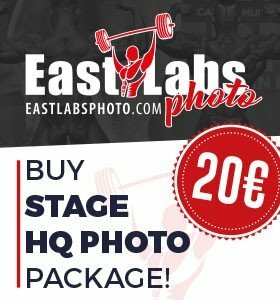 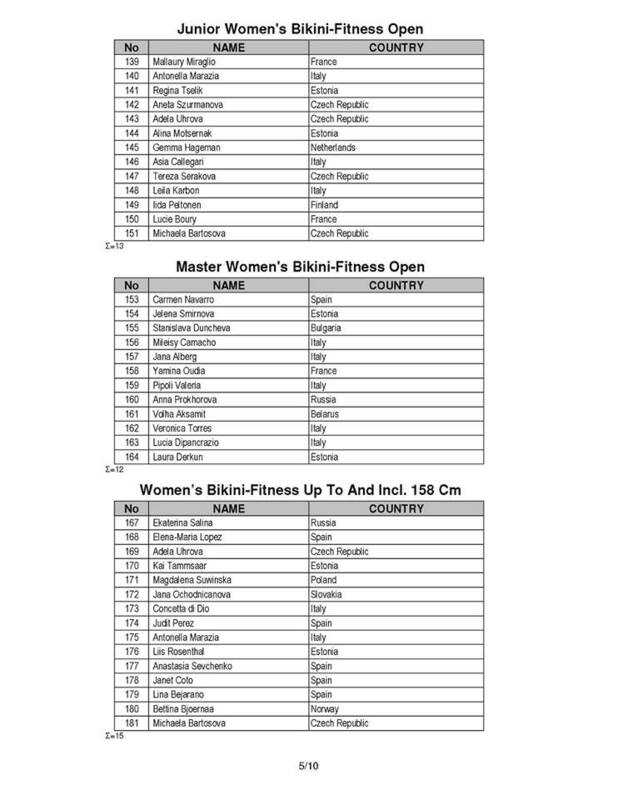 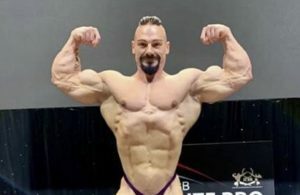 2018 IFBB Diamond Cup Rome – Competitors list and Running order of events. 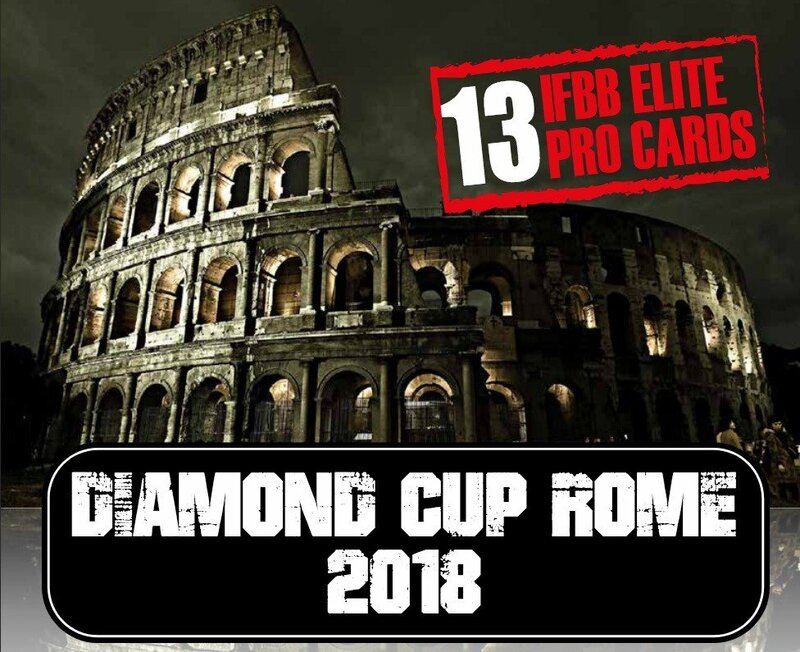 The 2018 IFBB Diamond Cup Rome is taking place this weekend between 3-4 November, 2018. 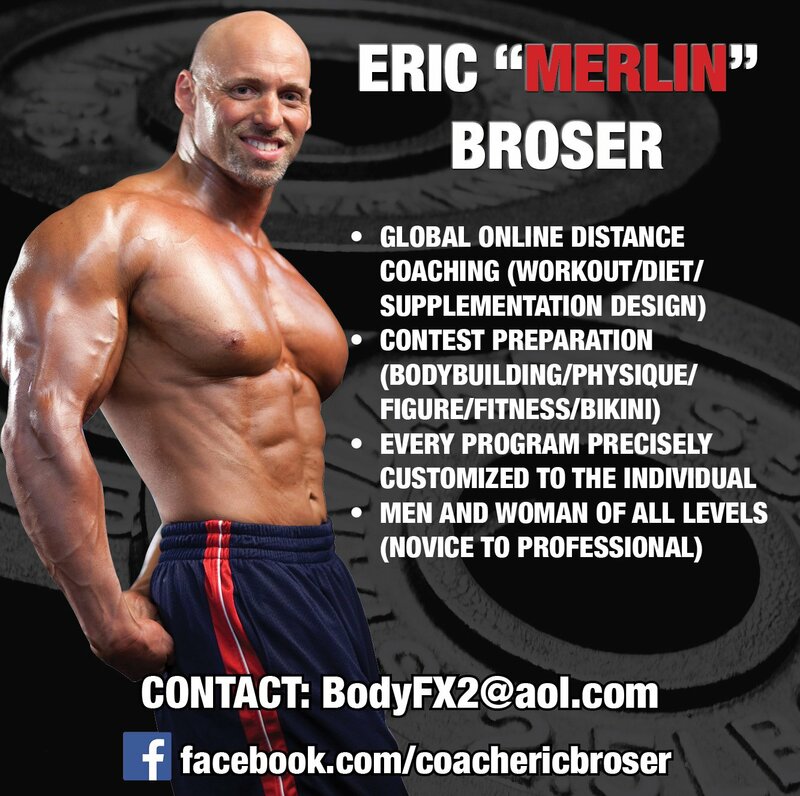 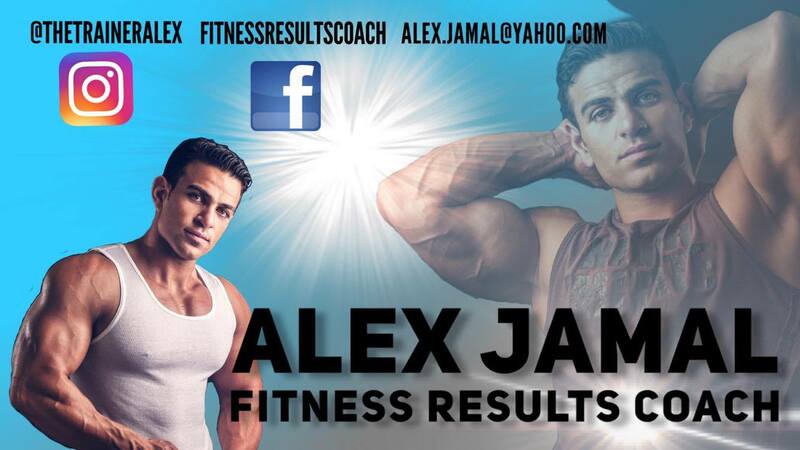 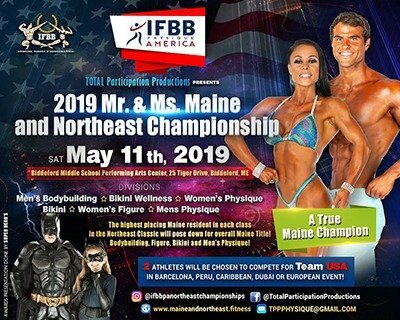 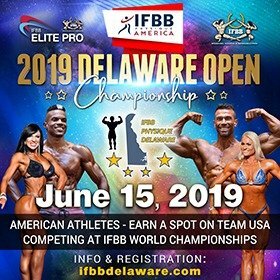 Over 300 amateur competitors will be competing against each other to try to win the IFBB Elite Pro Card. 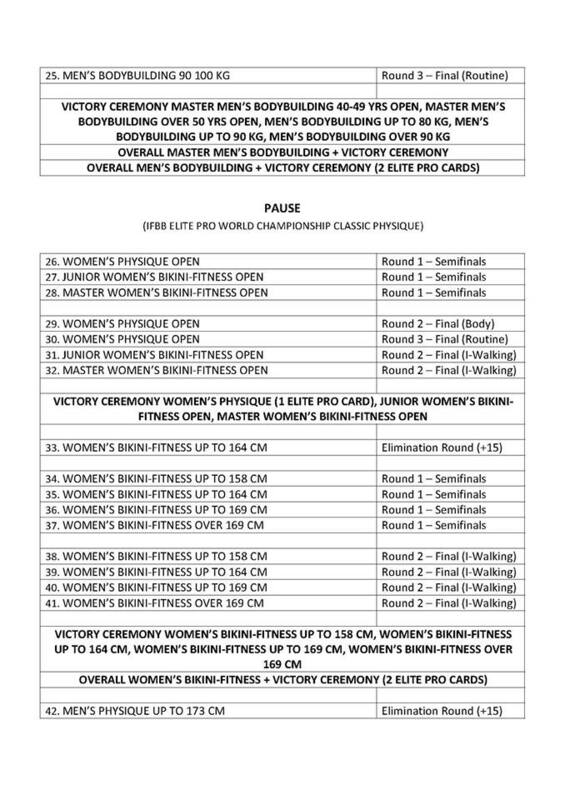 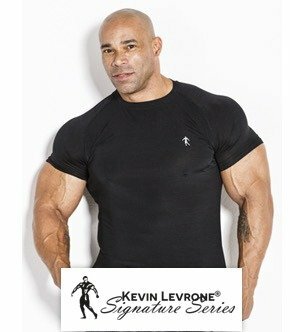 13 IFBB Elite Pro cards are available to be won this weekend in Rome. 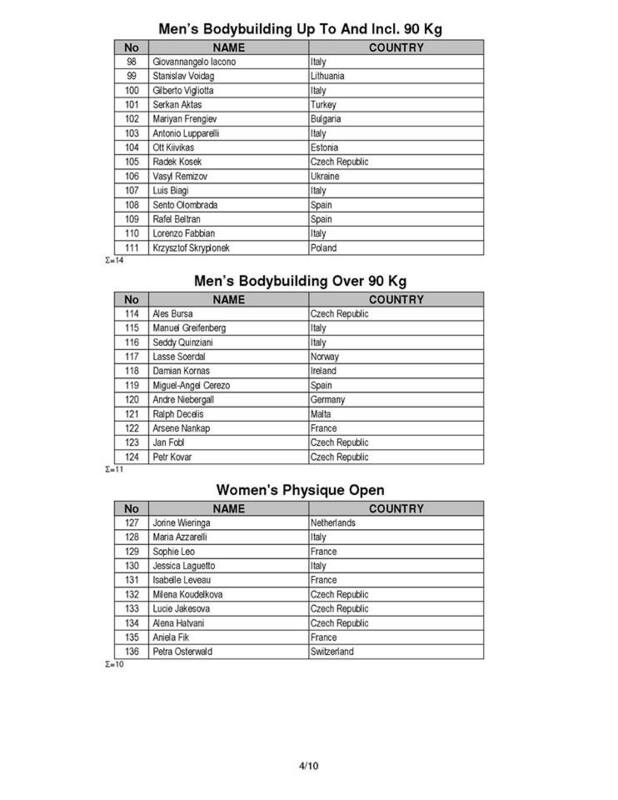 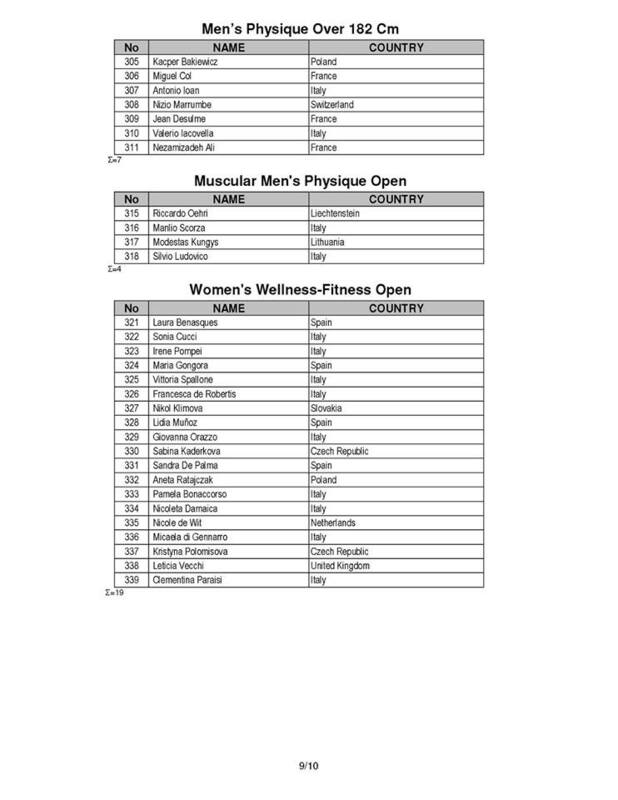 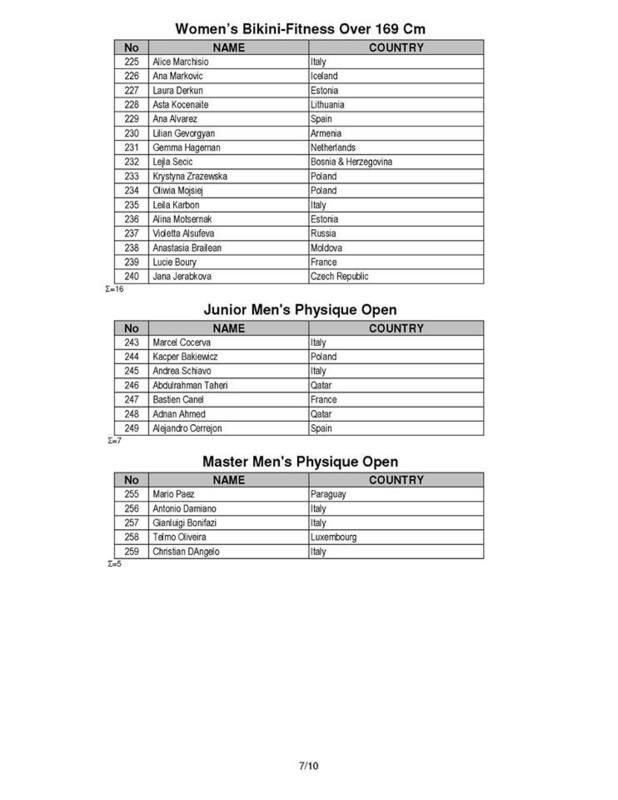 The official competitors list and the running order of events have been confirmed.